New Item! Expected to Ship 08-08-2019. Get the incredible tones of the invective in a portable, lower-wattage head. 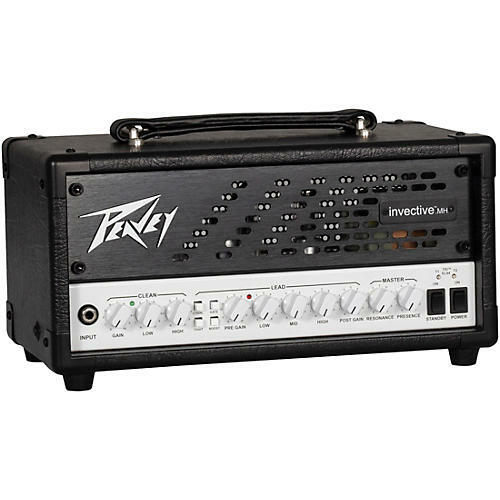 The Peavey invective head has been one of the most in-demand high-gain amps on the market. Developed in collaboration with the talented Misha Mansoor this was one of the first amps designed to be a perfect match for modern pedalboard-centric players. The best-in class clean channel is the perfect launchpad for your pedal-generated sound. The high-gain channel in the invective is based on the legendary 6505, known as the amp that created today's hard-rock sound. Now you can get this versatile performance amp in a portable, mini form factor.